One of the most popular cosmetic skincare procedures is filling in nasolabial folds, deep lines around the nose and mouth, with some type of filler. Reviva Labs, the anti-aging skincare experts, has something better in mind. These lines worsen with age. For Reviva Labs to accomplish such an amazonian task they really needed to do their homework. The cream contains special peptides as well as other ingredients that actually work to increase fat volume. Why is this necessary? as one ages the healthy fat pads in the face begin to fall. This results in unwanted facial folds and jowls. The cream won't accomplish a miracle, but it will lessen the look of deep folds and that's always a good thing. In order to see results it's important to apply the product correctly. First start with deep folds, around nose and mouth as well as the jawline. Then lightly spread the cream in an upward motion toward the ears. A little will go a long way. For faster results use both in the AM and PM. This is a treatment protocol. I basically apply it on those key areas; cheek and mouth folds and then blend in in an upward direction toward my ears. I have a very thin face so I'm thrilled with the extra plumping affect. For deep facial folds a three part treatment is recommended. I would love to try a cream that would lessen deep wrinkles! I have been shocked at how dramatically my skin has changed since I turned 40 years old. A multi-targeted product like this one seems like it would be perfect. I like that it can help turn back the hands of aging. At 47 I really appreciate products like this that help slow down or prevent the signs of aging. I have read in quite a few places about the benefits of peptides so extra glad this product contains those too. I am in the market for something that helps with my "smile" lines. I'd like to give this a try! I am so miserable now that my nasiofolds are becoming more and more apparent. I dont even like going out of the house anymore because I'm so self conscious. I can't afford injectables at this time so when I read about this product, my heart skipped a beat. Most creams don't do what they profess to do. I'd love the chance to try this cream, lessen the nasiolfolds on my face and feel and look youthful again. Reviva makes some great products.I would love to try this! In order to see results it's important to apply the product correctly. First start with deep folds, around nose and mouth as well as the jawline. Then lightly spread the cream in an upward motion toward the ears. For faster results use both in the AM and PM. I like the ingredients and that it is vegetarian formulated. I like that it helps with aging. I would love to give this a try, I need something that makes a difference without being too harsh on my skin. well, I first of all, like that it is vegetarian formulated! That has to be a good thing! LOL I hear horror stories about what some chemicals are actually IN our beauty products and it does worry me! I am always interested in trying something new! I would love to give this a go. My worse deep lines are between my brows! I'd try it there, beside the cheeks. I like that it increases the fat in your face to lessen the folds in your skin. I'm starting to get some sagging so I need something like this. I am always looking for safe anti-aging products. I feel it is worth it to try to take care of my skin and try to look better for my age. I like that it helps with signs of aging! This skin care sounds lovely. I find that the older i get the more time and care goes into my skin. My skin has been changing as i get older and i notice that it drys out more and more. I learned that it helps fill in the deep lines around your face and nose. This is my kind of product. I'm addicted to caring for my skin now that I'm 44 and anything that will tighten and/or plump is right up my alley. I'd really like to try this out. I don't even know what my skin is trying to do to me, but it needs help! I have a deep line in one of my cheeks that seems to be getting more noticeable. I would love to try this with the hope that it would help! Love that it is safe to use on my skin and it prevents aging! I really need this for my nasolabial lines. They are the most prominent lines on my face... I think this would help immensely. I love creams that help with wrinkles!! My nasolabial folds keep deepening as I get older. I would love something to slow it down or reverse it a bit. I like how this product is specifically for deep folds. I also like that a little goes a long way, making the jar last longer. Interest in how this works certainly going to do alittle more research in to this it seems like all women should have some at certain points in their lives. Also would not mine to try and see how it works first hand. At 38 I can definitely see the changes in my skin...including the beginning of droopy cheeks...this sounds like a wonderful product! This is a product I would love to try for my skin. I turned 40 this last year and I would love to try these, especially the exfoliater! 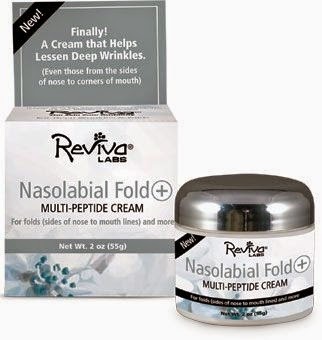 I have never used a Reviva Labs product before but the Nasolabial Folds Multi-Peptide cream sounds amazing, I'd love to try it. I also like that this product is Vegetarian Formulated. This sounds like something not only myself can use,but my daughters and my sister.so glad to finally find each in one.thanks for sharing. I so need this. I have folds that make me look like I'm pouting all the time. I like that it's a vegetarian formula. Since I have combination skin, I donn't know what to use. Your review helps me to decide. I like the fact that the peptides in this product will help add "fat" to the skin so, that the wrinkles won't hang so much. I have one wrinkle that bothers me (I know more are coming) and would love to try this and see if it helps make it less noticeable. If this gets rid of some of my age lines... I would love to give it a try. My wrinkles seem to deepen daily! I am thrilled to learn about a product that sounds like it actually could help me. I didn't know there was a product that could realistically help with this! This is really exciting! I like that they do no animal testing. I would like to win as the products reduce wrinkles and are not tested on wrinkles. I am interested in this product as it deals with wrinkles. I have been looking for a product that would help with such problems! I like that the products are vegetarian formulated. I like that it helps lessen the wrinkles & is gentle. This sounds like a great product. I have always heard great things about peptide cream. I think prevention is key and it's best to start early! I am always looking to try new products. Especially in the last few years since I've turned 50. I have never heard of this product and would love to give it a whirl! I am really intrigued by this product. I also have a thin face which shows wrinkles quite easily. This would be interesting to try to not only just eliminate wrinkles but also plump my face. I am always looking for new products to make me look younger. I would love to try this. I love that this cream is both light and also has a plumping effect. It seems like just what my skin needs! I like that you can get faster results if you use it in the morning and night! This cream will plunp up skin which I am excited because everybody does not like aging. I like that the product last a long time and that you do not have to use a lot when you use it. I've actually read some really positive reviews about this product from a couple of other bloggers, so I'd really like to try for myself! My skin has started to thin out as I am getting older. I like that these products would help to plump it up. I could use all the help I can get with my wrinkles. I like that the cream contains special peptides as well as other ingredients that actually work to increase fat volume. I've lost weight, but at 53 the first thing I noticed is that with the fat gone from my face, the wrinkles and folds are even more noticeable. I worked in the health food industry for 20 years. We carried Reviva products. 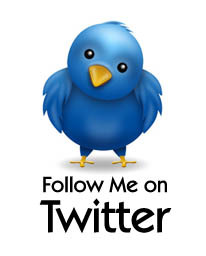 I know from personal experience and customer feedback they're great. I am starting to notice changes in my skin. I have really started to change my daily habits and products. I am actively looking for an anti-aging cream. I have hit a point where I am just starting to see those little lines and think it would be a great time to start applying a cream. I love that it is vegetarian based! I have tried Reviva products before and liked them. I would love to try this cream to see how it works for me. I would love to try this product. I've heard great things about this, and I love that this is vegetarian formulated. I'd love to see how well this works on my sensitive skin. 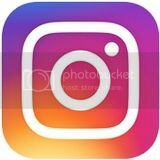 This is great information. I didn't know anything existed such as this to help combat the look of the deep folds in my skin and I could certainly use something like this!